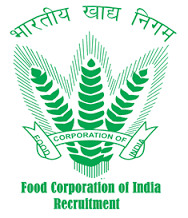 Food Corporation of India now going to publish the official recruitment notification for filling approximately 4318 posts of various categories. Official advertisement and notification regarding Bhartiya Khadya Nigam (भारतीय खाद्य निगम) vacancies will be published online. FCI will invite online application form for Junior engineer JE (Kanishth Abhiyanta) , assistant and Typist posts . all interested candidates can fill application form online till the last date which is August 2018. Selection Procedure: चयन प्रक्रिया: selection of the eligible candidates for above mentioned posts will be done through the written examination followed by Skill Test / typing Test. Previously SSC Staff selection conducted the written examination for the posts of Assistant grade 3 AG 2 but this time Food Corporation of India will conduct a national level written test for above mentioned vacancies . all question paper will be conducted in single sitting . One Paper: paper 1 will be conducted for Assistant grade 3 of general , Depot , and Paper 3 will be conducted for Hindi Typist posts . Two paper ; paper and paper 2 will be conducted for JE civil , JE electrical , JE Mechanical , Assistant grade 2 account and assistant grade 3 Technical Category of the posts . State : Andhra pradesh AP , , Andaman and Nicobar, Karnataka, Lakshadweep , kerala Region , Tamil Nadu TN , Puducherry , Telangana . State : Maharashtra , Goa, Madhya pradesh mp, Chhattisgarh CG , Gujarat , Daman & Diu , Dadra & nagar haveli . State: Arunachal pradesh , Assam , Nagaland , naipur, NEF , Mizoram Tripura, Meghalaya . Application Form fee : rs 350 , candidate can deposit application form till the last date end of August 2017.